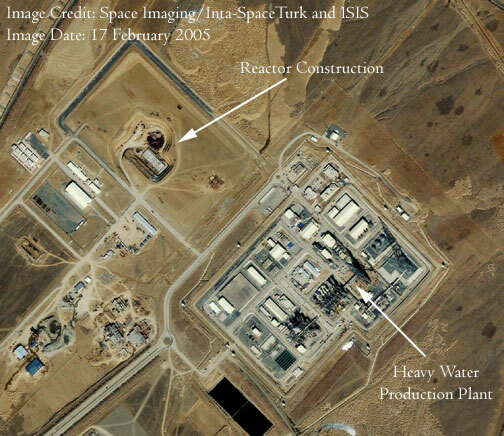 New satelllite imagery obtained by ISIS from Space Imaging and DigitalGlobe supports the Iranian statement and other statements of unnamed sources that, “Iran has laid the foundations for the research reactor at Arak,” as reported by Reuters on March 3, 2005. The construction complicates negotiations currently underway between the European Union and Iran. The Europeans are asking that Iran abandon all uranium enrichment activities, reprocessing-related activities, and the heavy water reactor project. The Europeans have offered to replace the heavy water reactor with a light water research reactor that would be more proliferation resistant. 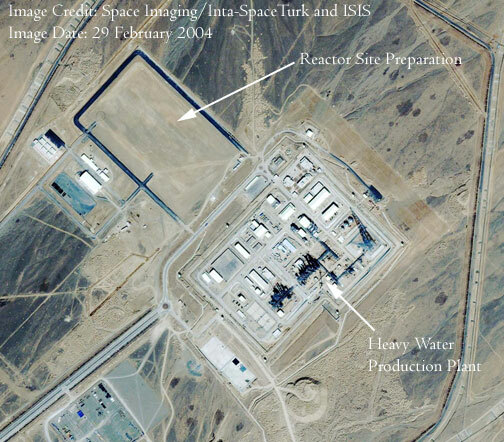 The spent fuel from this imported reactor could be sent out of Iran, a step that Iran has agreed to do with the fuel from the Russian-supplied Bushehr power reactors. 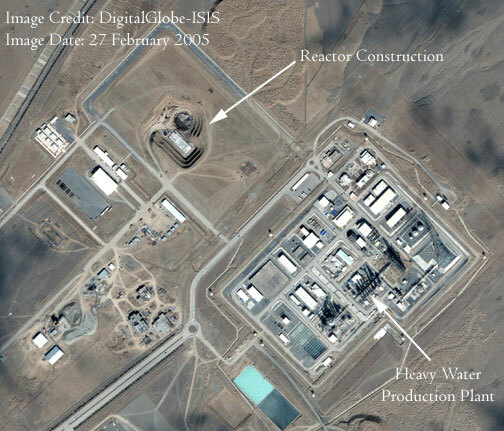 No evidence of any reprocessing facilities can be seen in the satellite images.